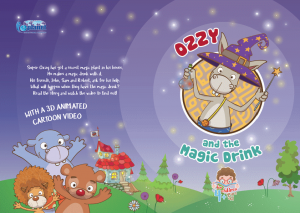 Super Ozzy has got a secret magic plant in his house. He makes a magic drink with it. His friends, John, Sam and Robert, ask for his help. What will happen when they have the magic drink? Read the story and watch the 3D cartoon video to find out!